We have a wide range of quality new and pre-owned yachts for sale, including the following luxury flybridge yachts. Don't see what you're looking for here? Visit our Worldwide Search to view thousands of yachts for sale around the world, or Contact Us to speak with a licensed yacht broker about the details of your search. A rare find! 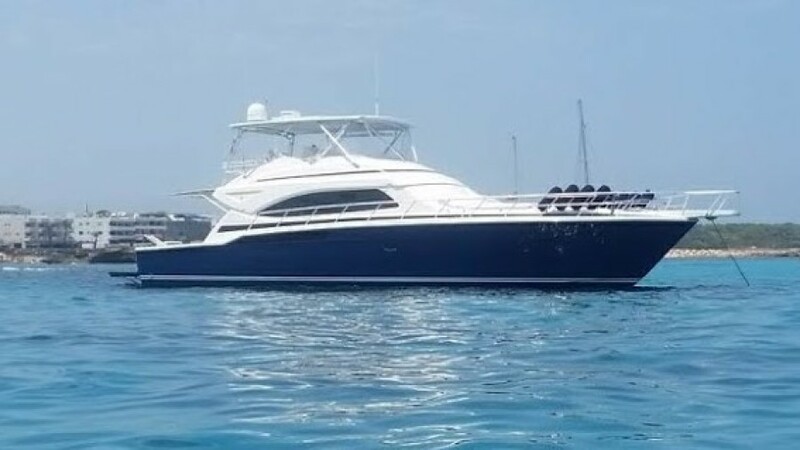 Located in Fort Lauderdale, Florida, this 2003 63' Bertram 630 Motor Yacht was never fished and is a rare Navy Blue Hull Bertram that has been extremely well maintained. 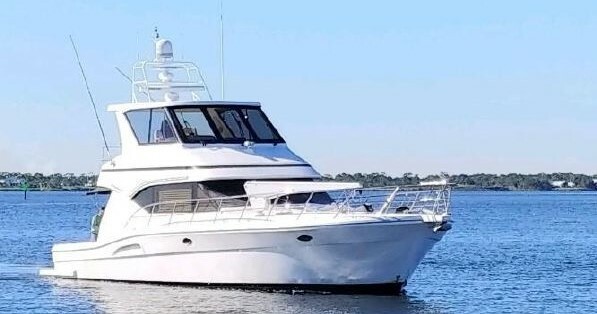 She is currently in Europe but slated to come to the US and raise a few fish or be kept as gentleman's convertible.This is a one owner yacht, maintained by a full time captain. The yacht was hauled each winter season and put in covered dry storage and the extra attention shows. She has a four stateroom layout the swim platform has been upgraded to a perform as a hydraulic platform so this she is very suitable to use for diving as well. For more information, contact Dirk Boehmer at 786-879-0170 or via email at Dirk@sysyacht.com. 2004 Kingfisher 55 Allure - "WAHOO"
Located in North Palm Beach, Florida, this 2004 Kingfisher 55 Allure is built in Australia with a rugged hull design and construction using DuPont Kevlar. She features the finest mechanical and finish components available from all over the world. This is a huge volume vessel with a teak laid cockpit great for fishing or entertaining. Easy access in the engine room to the twin Caterpillar C-18- 1015 hp diesels, Onan Generator and A/C units. Also, an enclosed A/C Flybridge for protection against the elements. Large galley overlooking the cream leather lounge seating and dining area. Three large staterooms with Queen, Twin and Double Bunk bed layouts. 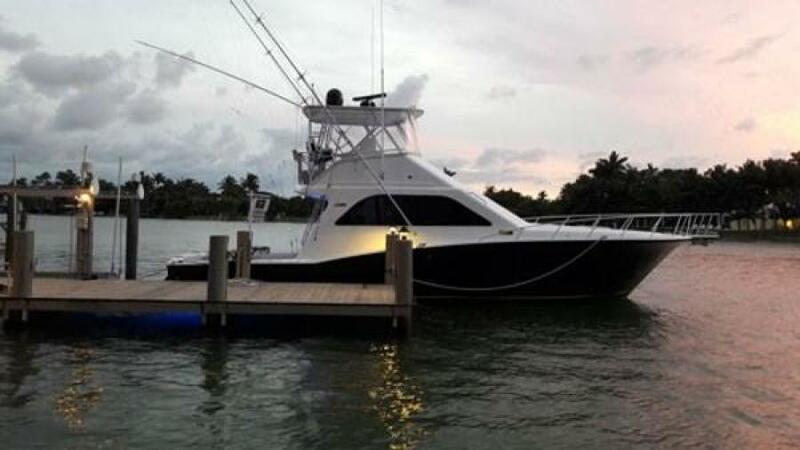 In addition, an extensive inventory including a davit on the bow, water pressure system, teak decks, custom enclosed toilet and shower, custom BBQ station/ice maker/fridge combo, dishwasher, washer/dryer,TV/DVD player and Furuno electronics, bow thruster and much more. For more information on "Wahoo", contact Harry Diener at 248-568-3456 or via email at Harry@SYSyacht.com. 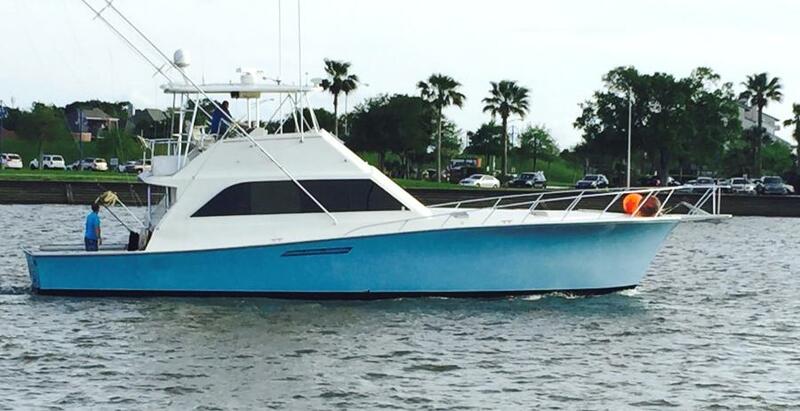 1988 Ocean 55' Super Sport - "STRIKE ZONE TOO"
Located in Mandeville LA, "Strike Zone Too", is a beautiful 1988 55 Ocean Super Sport. Engines were majored approximately 200 hours ago. In 2017, new generator, new paint, updated interior. Shows much newer than her age. She is a three stateroom vessel for 6 owners and guests. Two heads, one master and one guest, both with stand-up showers. As you enter, there is an L-shaped sofa to port and and dinette and galley on starboard side. The companionway leads to the two guest staterooms and head with the Master stateroom forward with ensuite head. Call today, this boat will not last long! For more information on "Strike Zone Too", contact Buzz Taylor at 985-900-4850 or via email at Buz@sysyacht.com. 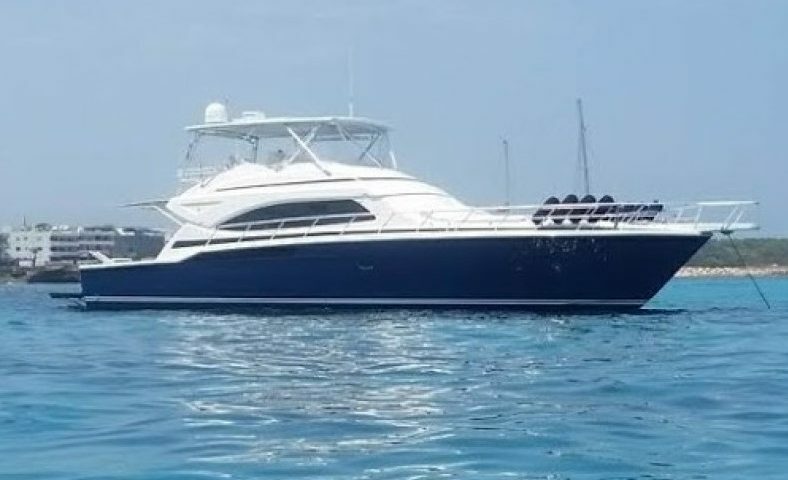 Located in Fort Lauderdale, FL, this 2001 47' Cabo Convertible has had full service on both motors in January 2019. With a 50 gallon molded baitwell tank in the transom, insulated fish boxes, rod storage areas, lighted gunwales, bait prep station, electric windlass, and a custom anchor roller system, she's ready to fish! Ample room and lots of equipment! For more information, contact Shawn Harris at 954-232-4117 or via email at Shawn@sysyacht.com.